Previously we discussed fasting time & maghrib time accorrding to shia sahih hadiths now lets move to more hadiths on maghrib salah time which are very clear in all respect. In Shiaism, the maghrib salaah begins when the sun sets, and the disappearance of the redness from the eastern horizon. (as we discussed before in above link). Now, unfortunately a lot of Shias delay their Maghrib Salaah until the appearance of stars in the sky, sometimes you see this happening in Shia Masjid as well!! “I said to Abee `Abd Allaah (عليه السلام) that people from companions of Abee Al-Khattaab (do) maghrib in the dark until the appearance of stars. He (عليه السلام) said: Allaah (سبحانه و تعالى) does bara’a (disassociates from him) from one who does this intentionally. و بهذا الإسناد عن إبراهيم عن أبي أسامة قال قال رجل لأبي عبد الله (ع) أؤخر المغرب حتى تستبين النجوم؟ قال فقال خطابية إن جبريل أنزلها على رسول الله (ص) حين سقط القرص. “A man (asked) Abaa `Abd Allaah about delaying maghrib (salaah) until the appearance of stars? He said, So he said: Khataabiyyah, Verily Jibra’eel revealed onto the Messenger of Allaah (صلى الله عليه وآله وسلم) the period (of maghrib is) the dropping of the disk (sun’s disk) (i.e sunset). Other Sources to this hadeeth: 1. 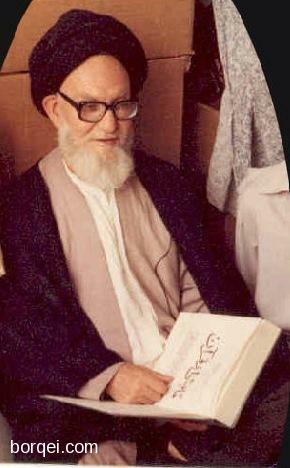 Al-Kashee, Ikhtiyaar Ma`aarifah Al-Rijaal, pg. 290, hadeeth # 5102. 4. Al-Toosi, Tahdheeb al-ahkaam, vol. 2, ch. 3, pg. 28, hadeeth # 313. Shia also have other narrations that allude to the extreme hatred of delaying prayers until the stars appear in the sky. No doubt sunni’s follow sunnah of S.A.W. (pbuh) i.e. why they pray maghrib salah in correct time. Source: Ibn Dawood, Sunan, hadeeth # 418 & Al-Albaani said this hadeeth is Hasan Sahih in à Sahih wa Da`eef Sunan Ibn Abee Dawood, vol. 1, pg. 79, hadeeth # 418.